TRM NETT SYSTEMS (M) SDN. BHD. started its business operation in January 1997. Our primary focus is on development healthcare solutions. 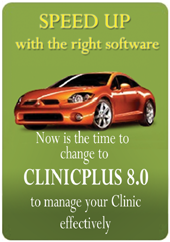 We specialize in helping clinics to fully computerize their operation. We provide our client effective & proven methods to effective manage their clinics, increase productivity and dramatically reduce overheads and improve the bottom line. We have done abundance of knowledge transfer and experience in clinic management and panel billing into a software product to assist health service providers to manage their practice effectively. With this great tool, clinics can drastically reduce their administration hassle and dedicate thier time in providing quality healthcare services. Our key personnel came from medical management expertise. TRM NETT SYSTEMS (M) SDN. BHD. is built on strong foundation of understanding the needs of the healthcare industry and technological advances. Continuing in this tradition we hired some of the best in healthcare consulting industry and systems engineer to ensure best quality from consultation, development, implementation, training and support. Partnering with NettSys ensures you a peaceful state of mind knowing that you working with the best with people in the healthcare solutions industry. Excellent technical support and customer’s satisfaction are our main driving force. 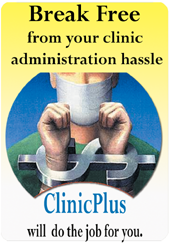 Serving more than 300 clinics nationwide, we have proven beyond doubt our capabilities to satisfy our clients. Our commitment to excellent service, reliability of products and cost-effectiveness of our solution has enabled us to become the preferred solution providers.